These additives help in economical demulsification of water from water – oil emulsions. This type of preserved latex concentrate has a minimum of 60% dry rubber content. 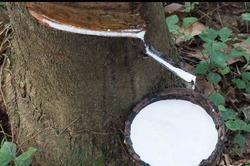 It is produced by centrifuging field latex with a dry rubber content of 30 to 40%. We have both HA and LA types for supply. Top quality professional management for superior customer service.